New Check here for independent site monitor report. The server might not be down but just unreachable for some reason. You can also try using http://togetherauction.info or http://togetherauction.org instead of .com, or even http://uuauctions.com, http://uuauction.org, and http://together.auction. Those names are all registered to the same ip address, either with or without a www. prefix. If you use a VPN service, you may also want to try it with that activated. (I use a free one called Windscribe). It's typically used for extra privacy for banking or if you want to avoid location-based ads, or if you use file sharing services like torrent that your ISP might otherwise slow-down, but since it works by essentially 'teleporting' your connection origin to some random place far away, it will sometimes also work around temporary network routing problems. I know the problem is external because I observed the site not being reachable from my ATT cell phone while it was working just fine on my friend's phone on the Verizon network. So that tells me the problem is someplace beyond my server. You can get an idea if this is likely to help or not by first testing using https://downforeveryoneorjustme.com/togetherauction.com. If it tells you 'it's just you', then a VPN connection would likely help, otherwise, it's really down and I've probably already been notified by my automatic monitoring service. Another thing to try, especially if you are logging in from a managed network, is to see if it is being blocked by some kind of filter - often organizations will block any site with 'auction' in the name, for various reasons. This can be challenging because the lists of 'bogus' sites that are blocked can be constantly changing, and thus it may appear as if the site is sometimes down when it's really working just fine but your ISP or company network may be limitig access to it. In some cases, you can circumvent this filter. 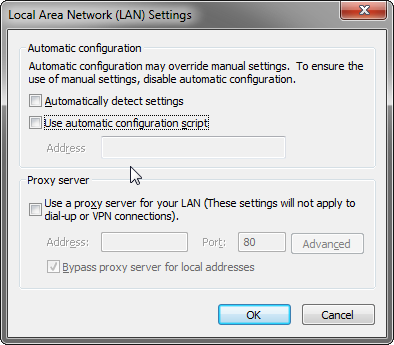 If you open your web browser network settings (For Chrome: Settings, search for 'proxy', then Connections tab, LAN settings button. If there's a checkbox by 'Use automatic configuration script' and/or 'Use a proxy server...' you can try making note of those settings in case you need to restore them, then try clearing these checkboxes. I've had some success clearing these, although it often gets set back after a system restart. Neighborhood had a storm related power outage approx 5-7pm which included internet service outage. A server problem happened when I was not available to reset it as quickly as I would have liked - so this was an unusually long outage. I'm mortified that this happened just prior to several auctions the followng Saturday. I'm working hard to correct the problems once and for all. I've identified the issue as being related to a bad image file upload - I'll work on finding a way to re-create the issue locally in order to find a permanent solution soon. A system server ugrade at 7pm on 10/14 appeared to finish normally by 8pm, however, for the following day, users who tried to login were getting PAGE EXPIRED errors. I offered a work-around of clearing session cookies, and was able to rebuild and install a fix at 8pm the following evening. A second less serious problem with the server upgrade was noticed - inability to upload images to items. Later that evening I disabled the automatic image resize feature to get image uploads working again (resizing them keeps the catalog display from slowing down on large images). I found a replacement for the misbehaving image library the following day. A system update on May 6 installed many new features, but also inadvertendtly disabled automatic reminder emails. Any events between May 11 and May 22 would have been affected. This was a mistake involving the new feature to add EMAIL_REMINDER_BCC. I'm very sorry for any inconvenince this may have caused, and thanks to Barb at UnityTemple for letting me know about the problem. I sent emails to the 20 affected churches with the specific missed reminders that hadn't happened yet so they could send those manually. Neighborhood had a power outage approx 2-4pm which included internet service outage. At about 8:45pm we had a brief power outage, followed by a longer duration internet service outage. The internet started working again around 10:00pm. As of 9:25am power is out. Electric Co. has shut it off to the neighborhood for at least 2-3 hrs while they swap out a pole and transformers. At 2pm, reported revised ETA 5pm. Bad news - system did not start back up. Turns out the power supply was bad. I replaced it and fired it back up at about 9:30pm on Thurs Dec 21. Meanwhile, I made good progress updating another computer I had intended as it's standby replacement, but had allowed to get very out of date with OS patches and so forth. So if something worse than a fixable component happened, I'll have a way to get it fixed a little faster. We had a fairly long outage from approx 9:45pm last night into this morning, with intermittent uptime until it finally settled down about 1pm EST. There was a thunderstorm in Columbus with high winds in the neighborhood of our church, which resulted in many downed trees and a brief power outage which was well within the 2hr battery backup power capacity; however, there was an associated internet service outage to neighborhood from approx 7pm which kept the server disconnected from the internet. The timing was especially bad because about 6 churches have their auctions this coming Saturday the 11th and would really like for it to be reliable this week. Also, our church administrator was busy dealing with some minor building damage, and did not see my frantic messages until I showed up in person. So as of now, 1:45pm, all appears to be back up and running and none the worse for wear. As a result of all this, I will accelerate my plans to investigate hosting the site in the cloud - I think we have enough churches now to handle the associated costs, it's more a matter of me learning exactly how it's done. Seems like we've had numerous brief outages lately, but hard to establish any real patterns. I've contacted our ISP tech support, who recommended restarting all our network equipment, which we've done. We did make one discovery which might be relevant to any of you with Joomla based CMS systems for your main website, or any other kind of website where you set up a redirect to link yoursite/auction to www.togetherauction.com/yoursite. It works great, but then someone tried using https to run the main church website, which otherwise works fine. But, togetherauction doesn't have an https certificate, so if they hit that link, it was keeping the same protocol for the redirect, and giving connection refused. So we aren't using those redirects anymore and instead using just simple external links such as you'd use for any other site. I've had a number of recent (early 2016) reports of the site not being available. This is odd, because whenever I suggest using a site like http://downforeveryoneorjustme.com/togetherauction.com it always says it is up, but still, there must be some kind of network issue that hides it sometimes. I don't suggest advertising or bookmarking any of these, since I may decide not to renew them if the problem is somehow resolved, but they should function identically - I hope this can provide some relief. probably not count soley on those emails. We decided to switch network providers today from Time Warner to Wide Open West. It's too soon to tell whether this might fix our power outage blues (crossing fingers it might), but anyway the network is about twice as fast, so that should make the images on your catalogs load slightly faster the first time for those of you with fast internet connections. traffic can go in or out of it. Our theory is that some piece of network equipment 'upstream' is not similarly protected by battery backup. but unable to reach any pages at togetherauction.com. Of course, if this were to continue into your auction 'season' it would be a major concern, so please be assured I am doing my best to avoid that possibility. TogetherAuction users should not notice any connection issues. However, if your page fails to 'come back' after a long time, try hitting the refresh button (usually F5). We had several outages today, and they lasted longer than usual because I am away on vacation. I had noticed what I thought was a minor lockup issue happening once or twice a month, but it happened several times today. I had already prepared a fix but wanted to wait and install it later with some new reports I've also been working on, but I went ahead and put it in today - so now you can see the new reports page, but they won't do anything yet - more importantly, those annoying lockups should be gone for good now - so today was a very unusual day - I hope the experience didn't scare anyone away. As I was writing up this third outage description, I decided to make it a new page with the latest info at the bottom to make it easier to add new info to. I made some good progress on the stability issue. It isn't possible to prove there are no other problems, but I squashed one nasty bug that was bringing down the system with uncomfortable frequency. The trouble was related to the EditItem page's image upload feature - whenever an image upload was abandoned (often because the file was too large), it would never release the thread servicing it, so eventually it would use them all and have none left for the rest of the system. This was due to a bug in the image resizing system library I was using - I found a better one that doesn't suffer from this problem. I added the image upload feature over a year ago, but we just haven't had as many folks using it to cause this problem I guess. You can stop reading now if you aren't interested in the technical reasons behind this problem. I also trimmed the size limit down to 7 meg per image, but I may try to raise that again now that I know this was the problem. I also added a wicket version id on the About page for any technical folks who may be curious about that (I did a lot of experimenting with versions before I found this system library that had changed). By the way, the fix I referred to above was only a symptom fix (inability for subsequent pages to obtain a lock). The root cause was the stuck thread holding the lock (because it waiting forever in the image resize routine). I had a 'eureka' moment today when I made the connection between folks asking about reports and the frequency of these lock ups - I also learned a nice diagnostic trick 'kill -3' to initiate a stack dump during a lockup - this finally led me to the root cause I've been looking for, which makes total sense in hindsight but had for some reason eluded me for a while - it's all due to a connection pool leak whenever someone runs a report - we get exactly 20 runs, then kaboom on the 21st one. Very easy fix. I hesitate to declare victory prematurely, but this time I really think I got it taken care of and we should be back to the usual level of stability you can depend on. Whew! - Just in time for auction season! After several days with no problems, I added the graph at the top of this page to the home page also - this is an independant website monitoring service that will send me an email within 5 minutes if the site ever goes down again. Hopefully this will be my last entry here for a long time. We had a brief power outage today from approx 1:08pm-2:43pm - the automatic notification system alerted me immediately, and the system restarted without intervention when power was restored. I recommend sites such as http://www.downforeveryoneorjustme.com/ if you have trouble accessing this or any other website. We had a big storm system pass thru the midwest Friday, knocking out power for several days now. American Electric power has given general estimates of up to 3 more days before 90% of customers have service restored. Update: as of 7/3 power was restored, but still no internet service. Update: another (less severe) storm caused shorter power outages, and internet service restored 7/5. Besides the power outage, I also fixed a BIOS setting that left the system powered off after an extended outage. Also had to repeat some network driver related system config that was lost when I applied some security patches. (Ubuntu kernel didn't recognize proper R8168 driver for network card). Tested full reboot OK after fix. System fully functional again 7/6 at 8PM EDT.